Don’t let the heat keep you from staying cool in Canton this summer! Don’t get stuck in the heat this summer! 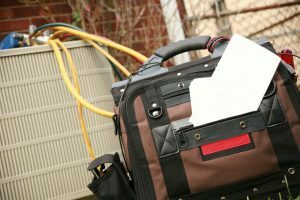 You’ve heard the horror stories, or maybe you’ve been there yourself – having an air conditioning emergency only to get slapped with an outrageous bill from the technician. It can be irritating and cause unnecessary headaches and stresses. If you choose Air Temperature Control for your air conditioning services, you’ll be able to rest assured knowing that you won’t have any surprise charges on your bill. We charge a low, flat rate for all of our air conditioning services. 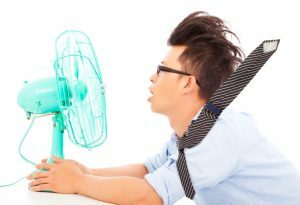 We’re available 24/7 for all of your emergency air conditioning needs, so you can stay cool this summer. We’ve been helping out Canton for over 35 years of experience of air conditioning installation, service, and repair. Our team of professional technicians have the background and training necessary to service and repair all makes and models of air conditioning systems. Are you tired of paying outrageous energy bills, while still feeling like you can’t get your home at the perfect temperature? Having a new, energy efficient air conditioning system can greatly improve your quality of life, while also saving you money! As a Comfortmaker Authorized Dealer, we offer competitive prices on state-of-the-art, highly efficient air conditioning systems that can reduce your energy costs, provide cleaner indoor air, and increase your comfort. Our technicians will assess your home and budget to ensure that your system is not over or under powered, a common error that leads to high costs and decreased comfort. Our air conditioning equipment comes with a 10-year warranty on all parts and labor, and we are fully licensed and insured to perform expert installations. Without proper maintenance, your air conditioner can go out unexpectedly. Usually this can happen around the first or second usage of the season after a long winter, but it can also happen in the middle of a heat wave. 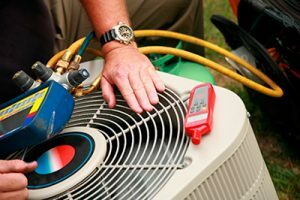 At Air Temperature Control we understand the frustrations associated with a broken air conditioning unit, which is why we offer 24/7 emergency AC repair. Our team is experienced with all makes and models, and is knowledgeable if any questions or concerns arise during the repair process. We give your home and air conditioner the same level of care that we would exhibit on our own homes, and won’t leave until the job is done. Regularly scheduled maintenance on your air conditioning unit will help you to cut energy costs and improve the overall quality of your home’s air! HVAC experts recommend that heating and cooling systems receive maintenance at least twice yearly, once in the spring and once in the fall. Air Temperature Control, Inc. provides comprehensive AC maintenance that includes the changing of the air filter, which increases airflow, provides cleaner air, and reduces energy consumption. Additionally, we provide run a full diagnostic check, cleaning the condenser and evaporator, replacing refrigerant as needed, and much more. Is your window air conditioning unit or ductless split system just not cutting it? We might have the solution for you then! ComfortMaker central air conditioning systems are designed to cool any size space quickly and affordably. Not only are they a great investment for your comfort, but having a central air conditioning system can increase the value of your home significantly. Air Temperature Control is the leading choice for central air conditioning installations in Canton – contact us today and speak with an HVAC for your FREE and accurate estimate!